This broiled salmon recipe, with an easy salty-sweet glaze will become one of your go-to weeknight recipes. It only take 12 minutes to prepare! A friend mentioned to me the other day that she avoids cooking fish, particularly salmon, because she always overcooks it. Believe me, I get it. Even though my mum cooked a lot of salmon when I was a kid and always cooked it to juicy, tender perfection, I still managed to cook every last bead of moisture out of it when I first took to the kitchen. I’ve mentioned this trick before, but it’s so handy that it’s worth mentioning again and really deserves its own blog post. I don’t remember where my mum and dad picked up this tip, but it’s one that they they (and now I) swear by. When you think the fish is close to being done, insert a small, sharp knife into the thickest part of the fillet. Count to ten, remove the knife, then carefully lay the flat side of the blade on the inside of your wrist. If it’s hot, the fish is done. If it’s just warm, cook the fish for another minute or two, then test again. Seriously, it works every single time. For this recipe, preheat the broiler, place the salmon fillets on a foiled-lined baking sheet and whisk together the 6-ingredient glaze. The first time I cooked this, I brushed the glaze on before cooking, but found that the glaze had burned and blackened by the time the salmon was cooked. The second time, I brushed on the glaze about halfway through the cooking time. The result? 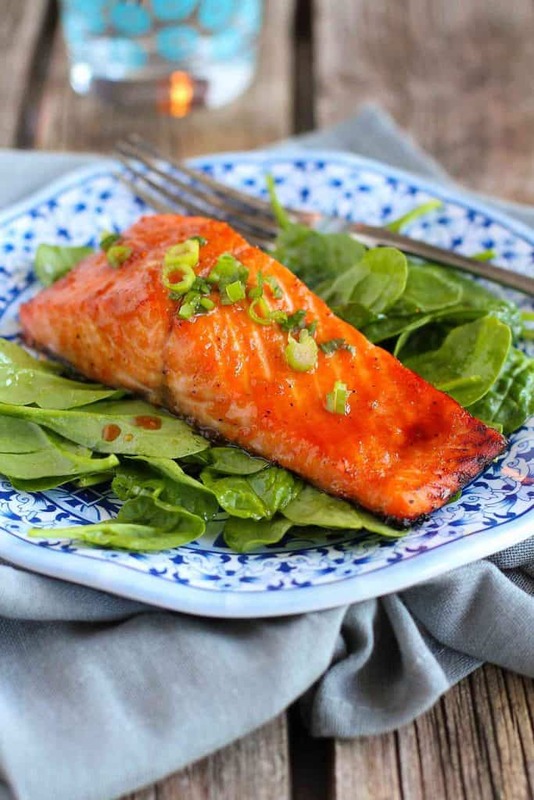 Tender, juicy salmon with a glaze that was just starting to caramelize. Perfect. In a medium glass bowl, whisk together the soy sauce, honey, olive oil, ginger, pepper and garlic powder. Pour half into another bowl. 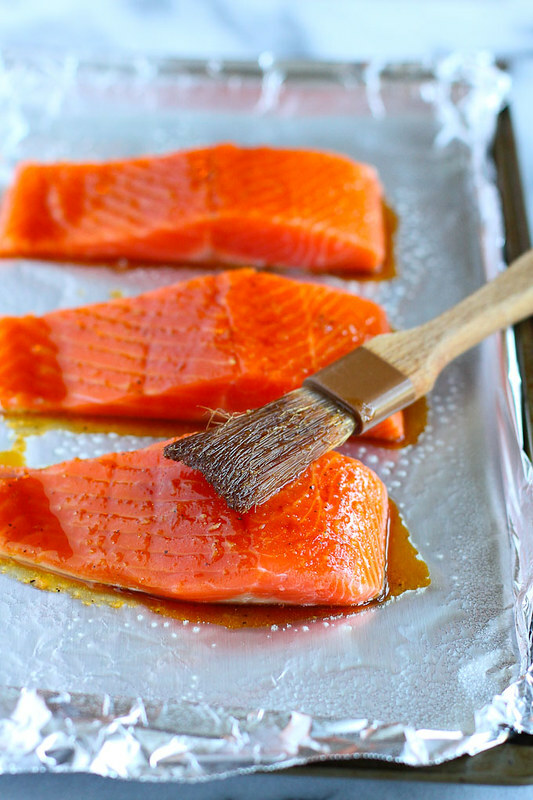 Place the salmon fillets on the lined baking sheet. Broil for 4 minutes, then brush with half of the soy sauce mixture. Broil until the salmon is just cooked through, about 3 minutes. Microwave the remaining soy mixture and brush it over the salmon. Serve. We didn’t eat a lot of fish growing up since I lived so far inland (and fish was for special occasions), so I never learned a nifty trick like that for salmon from my parents. That said, we love eating it now, and I’m definitely going to take that knife trick to heart because it’s BRILLIANT! Thanks for sharing that. And this recipe? So simple and SO delicious. We eat a ton of salmon in our house, so I’ve pinned this for later. Cannot wait to try it! Thank you Dara for the nice recipe and good info. 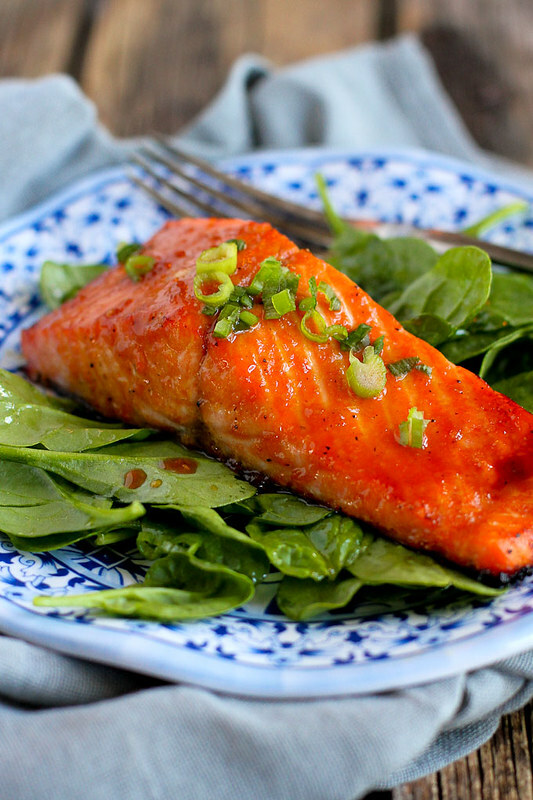 I swear, you are seriously the salmon queen. That honey glaze is literally shouting at me! Want! We’re spoiled with an amazing selection of fresh salmon here in western WA. This looks and sounds perfect! That trick is genius!! Cooking fish is always intimidating to me, but I absolutely love it. Thanks for sharing my Pecan Crusted Salmon! 🙂 BTW – I’m counting down the days until we’re visiting Seattle… can’t wait!! I’m just getting into salmon and can not wait to try this recipe. Looks so easy and delicious! 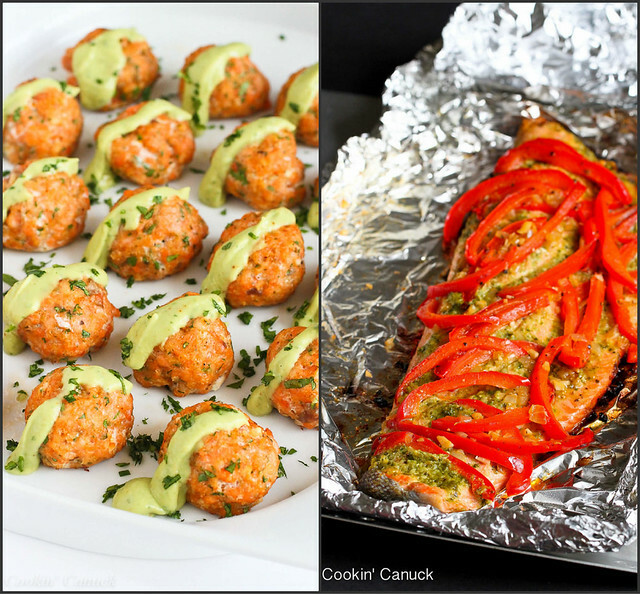 Thank you for sharing, this is the easiest I’ve ever seen salmon recipes.